According to the Bakersfield News, the scheduled event will feature live and silent auction items, a meet and greet with the 2014 Roadrunners baseball team and other special guests including current and former professional baseball players in attendance. John, who won 288 games in his major league career, is also famous for the revolutionary ligament-repair surgery he underwent in 1974. He went on to win over half his career victories following the surgery now commonly referred to as “Tommy John Surgery.” One in nine active Major League pitchers have undergone the surgery at some point in their careers. 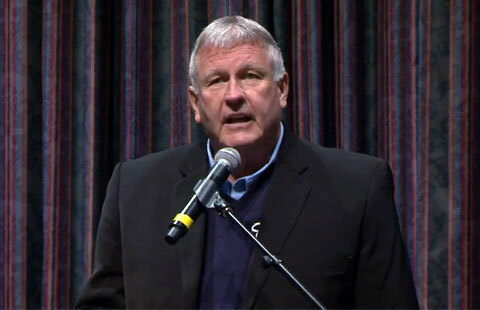 The following video shows Tommy John speaking at MTSU’s 2012 “Baseball in Literature and Culture Conference” on March 30, 2012. Playing Field Promotions is a booking agent for motivational sports speakers and celebrities. If you would like to book athletes like Tommy John for a speaking engagement, autograph signing, guest appearance, product endorsement, charity fundraiser or corporate event, contact our booking agents for appearance and speaker fees or call 1.800.966.1380.